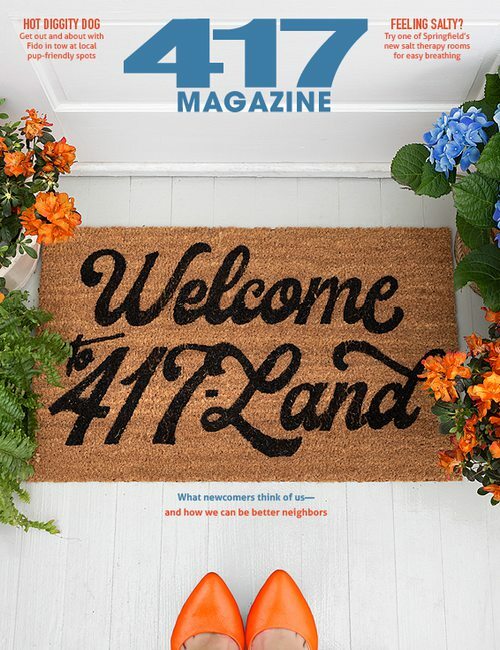 417-land’s FYI Guy rose to fame after getting his start crafting as a kid with his grandma. Now, he hosts a nationally syndicated show and is a local celebrity among home improvement lovers everywhere. 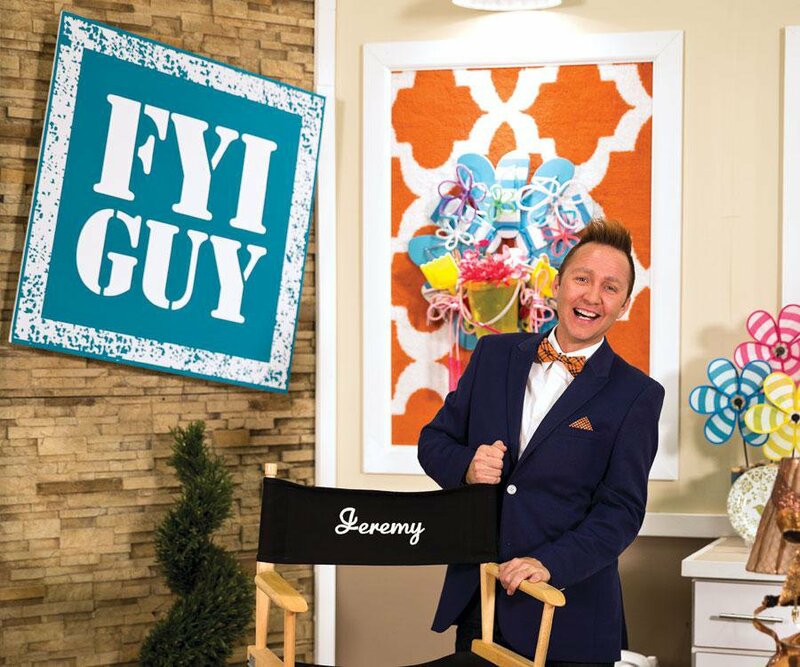 Before FYI Guy Live was a weekly TV show shot live in a studio with a packed audience, it was Jeremy Rabe filming himself making projects in his living room with a flip camera. Growing up in Texas, he started doing projects as a kid to help his family around the house. That’s how he learned how to do simple crafts to improve spaces on a budget. 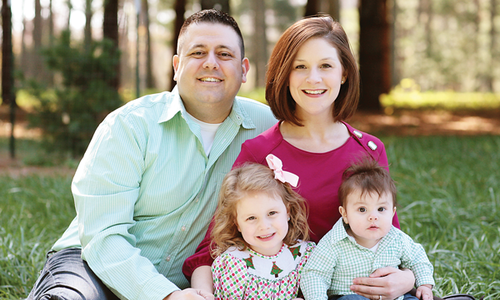 Even through college, when he majored in musical theatre, he kept practicing his love of fast, easy and fun projects. After spending years performing in Branson and singing on Carnival Cruise Lines, he woke up one day from a dream that inspired him to host his own show. He filmed segments, sent them off to television networks all over the country and received a call from KY3 to do a weekly segment. In December of 2013, Opfer Communications asked him to start his own show, FYI Guy Live. Now, you know him as the man in the bow tie showing you how to make all kinds of crafts every weekend. 417 Magazine: Can you describe your show to someone who hasn’t seen it? 417: What is the hardest thing about filming a live TV show? J.R.: The hardest part is keeping the momentum going. Because it is such a back and forth with the audience, if you’re not feeding off each other it kind of falls flat. When I get out there to do the live show, I have had two cups of coffee and am bouncing off the walls backstage ready to go on. We have to entertain not only the people sitting there, but also the people at home. 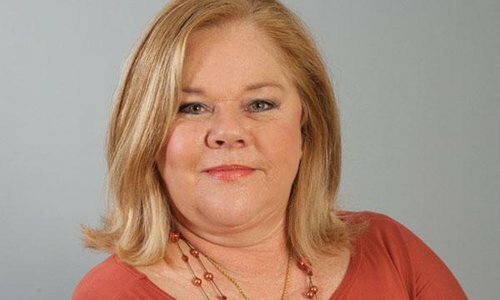 417: Do you write a script for your show? J.R.: We don’t use any kind of teleprompter or script. It is all me just talking off the top of my head. I go out there with an idea in my head and some bullet points, and whatever happens happens. We very rarely cut because I want to keep it as real as possible. I tell people what you see is what you get. I’m real. If I mess up, I mess up because I’m human. I think sometimes TV tries to give you that idea of perfection that nobody can achieve because nobody’s perfect. 417: What happens to your completed projects? J.R.: After I make things, if I don’t give them away on the show—and I love to give stuff away—I donate them to local charities so they can raffle them off for events. 417: If I’m new to crafting, what are the first supplies I should make sure I have? J.R.: A hot glue gun. Some pipe cleaners. I use pipe cleaners for everything. Maybe three or four of your favorite colors of ribbon because you’re going to use them. Get started with a few to get your collection started. Then super glue. I love E-6000. And maybe some glitter. You can always throw glitter on something to make it sparkle, and then you have a project. Oh! Throw Mod Podge in there too. I always try to keep those on hand. 417: What do you get from crafting? J.R.: It’s a stress reliever. Some people get massages, some people read a book, some people sleep. I craft. I wish I could sleep! It’s active. It keeps my brain going, and it’s high energy—I’m not sitting down. And as you can tell, I’m a very hyper person. I like to keep moving. If I had to sit down all day, I’d go crazy. I’m really into yard work as well. So crafting gives me that peace, and then I go into my yard and plant flowers, and I’m really happy. 417: What is your favorite craft? J.R.: I think my favorite craft is basically a genre of anything pet-related. I love to make pet beds out of recycled old suitcases. I also made one out of a recycled television I got at a garage sale for 25 bucks. It’s one of those old giant TVs that used to sit on the floor in Grandma’s house—it’s this huge, bulky, clunky thing. I gutted it out, painted the inside black and painted the outside in an oil-based, shiny red gloss paint. Then I put a black satin pillow, and I put a poster of I Love Lucy in the back so it looked like you were watching I Love Lucy. Then I took an old vintage and set it up and painted it bright white. So it’s like a modern, contemporary piece of art, but it’s also a pet bed. 417: How do you get the ideas for your crafts? J.R.: A lot of times, I don’t even know what it is that inspires me. A big part of it for me is the dream process. When I’m not crafting, I’m at the Habitat Restore store or the thrift store, and I’m looking at items, and then subconsciously they turn into ideas for projects. A lot of times people will send me ideas. They see something they want to make, but they don’t know how. They see something in the store and know it’s too expensive, so I’ll make the cheaper version. I try not to look too hard because I don’t want people to think I’m stealing ideas. I always put my own twist on it. 417: Do you get a lot of fan interaction? J.R.: Absolutely! All the time. The most surreal thing though is when I go into a store, and the ladies who say hi will start looking through my cart asking what I’m going to make and what supplies I’m buying. I say, “You know I can’t tell you what I’m making right? It has to be a surprise. It’s on TV.” And they say, “We just wanted to know what to stock up on!” I do love it. I will never complain. If someone wants to stop and talk to me, I’ll stop to talk to them. They love to show me pictures of their dogs and their projects. Or they’ll ask me what to do with their backyard, and I’ll give them my two cents and tell them if they do it to send me a picture. And luckily, no one has been rude to my face yet. 417: What are some of your crowd favorite crafts? J.R.: The teacup birdfeeder, the vintage suitcase pet bed, and my flip flop wreath. The first time I ever made that wreath was two years ago on KY3. I was in the store a few weeks ago, and I ran into a fan. She was buying a ton of flip flops and said, “I’m making a flip flop wreath!” The thing is, though, every time I run into a fan they have a new favorite project, and it’s always something I’ve forgotten about. 417: Do you have any crazy stories from the set? J.R.: Yes. We were filming an episode called “The Sports Show,” and I was making a lamp out of baseballs. I had one that was already finished, and I was making one on the show because I wanted to show how easy it was to wire your own lamp. So I got a thrift store lamp, and I’m wiring it, and it doesn’t come on. “Cut!” I do it again, and it comes on. Great, let’s take it back and redo it. We start the show, I turn on the light, and it doesn’t work. This happens three or four times. As I’m rewiring it again for the fourth time, I forgot to unplug it. I shock myself like you wouldn’t believe on set in front of the audience making me look like I don’t know what I’m doing! As I’m getting ready to tighten the screw, the production crew shuts all the lights off, making me think that there was a blackout. The audience dies laughing because the production crew told them they were going to do it to me. I was laughing so hard, I couldn’t even keep it together to end the show. That night will always be one of my best memories from the show. 417: Do you think that the craft stores have a crowd of people that come in after your show airs? 417: Do you think people should craft more in their lives? J.R.: I really do. I think using that creative side of your brain [is good]. I think a lot of people have that creative side when they’re young, and then when they grow up they get told what they have to do. You start using that other side of your brain and you forget about the creative side. 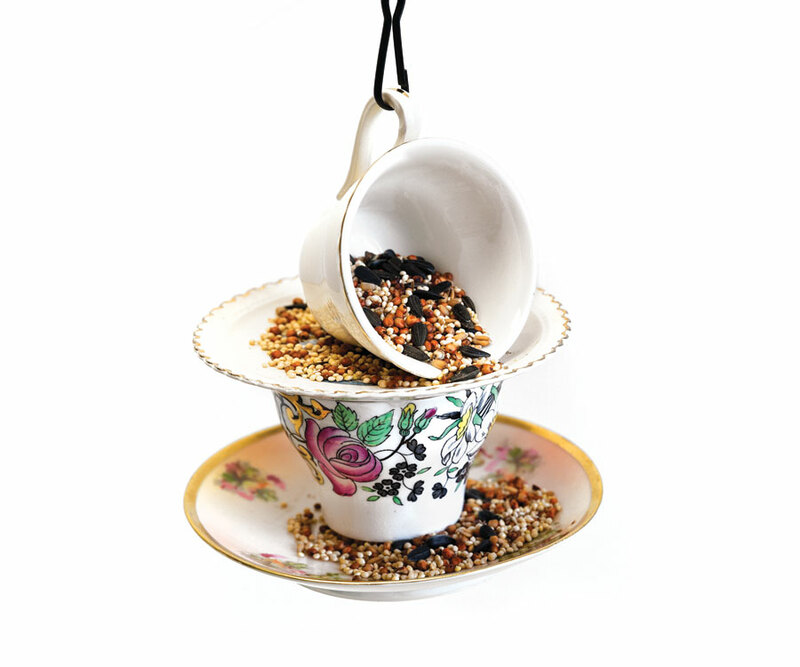 During his interview, Jeremy Rabe whipped up an adorable teacup birdfeeder with our writer, Rose Marthis. Read on, for instructions on how to make one of your own. If you need additional inspiration, we also have some handy videos of Jeremy making some of his favorite summer crafts. 1. Prepare the teacups and saucers by lightly sanding the areas where the glue will be applied. 2. Put glue along the bottom of teacup 1 and place on the saucer. Gently tilt the teacup several times all around the saucer to make sure the glue is making contact, and this will help speed up the drying process. 3. Then place glue along the top ring of the teacup and add the second saucer. Again, tilt the saucer several times to make sure the glue has made contact. 4. Then place the second teacup (on its side) with the handle pointing up on top of the second saucer. Make sure you know where you want the teacup before adding your glue. 5. Once you are happy with the tilt and position of the teacup add glue to the saucer and place the leaning teacup in place. 6. Let the glue dry for at least 24 hours to ensure maximum strength. 7. When the glue is dry, place a chain around the handle of the top teacup (this acts at the hook) and hang outside for you and your birds to enjoy!